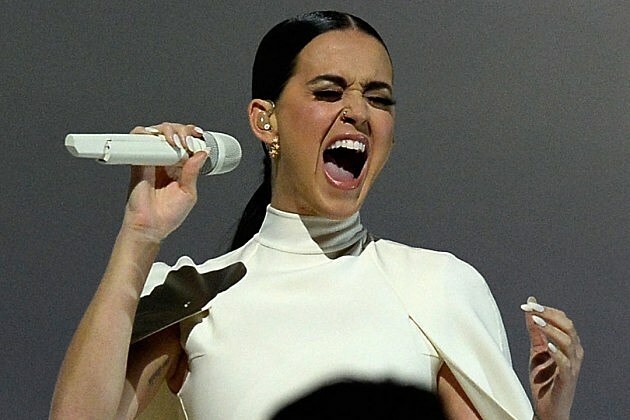 After a powerful message from both President Barack Obama and a domestic abuse survivor, Katy Perry delivered an emotional performance of ‘By the Grace of God’ at the 2015 Grammy Awards. The powerhouse singer belted out the heartfelt tune with passion and genuine feeling, appearing to hold back tears as she hit each note with ease and grace. Donning a flowing white gown, Katy looked positively angelic as she sang the emotional track as the shadow of a dancer moved gracefully behind her. One of our favorite things about Katy’s Grammys performance was that it was so different from her Super Bowl show — further proof that the ‘Roar’ singer is the real deal and can bring it in such drastically different live performances. It’s the mark of a true artist. Katy Cats, what did you think of Katy Perry’s powerful performance of ‘By the Grace of God’?